199 Riverside Tucked back in the deepest corner of the park, this lot is surrounded by lush natural vegetation and the beginnings of a spring feed creek. 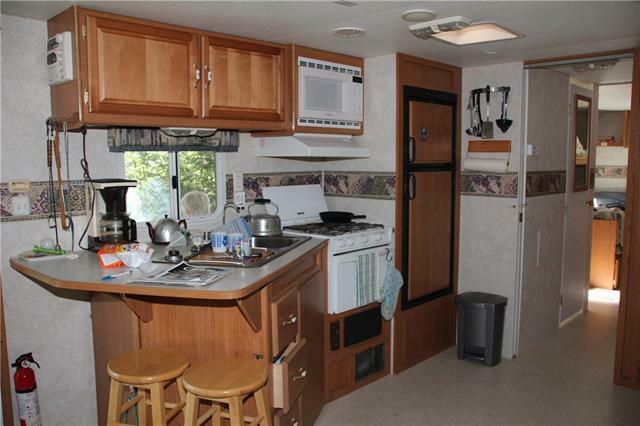 The roomy 2002 39D Fleetwood Terry Canadian Edition has a separate queen master bedroom in the front and a separate Bunkie with table in the back. Sleeps 8. 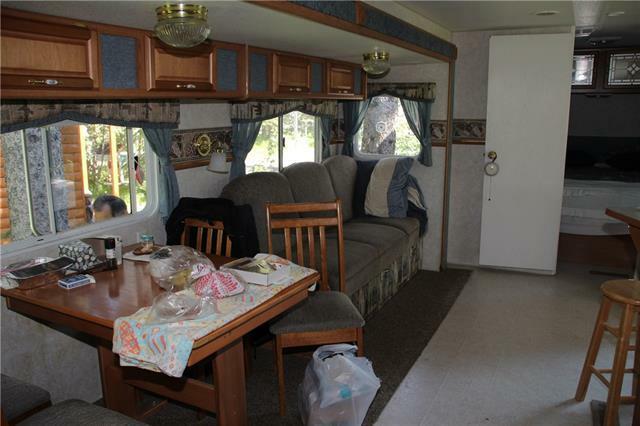 It is in great shape, well maintained, with a 2012 fridge and updated carpet and upholstery. The perfect family hideway. 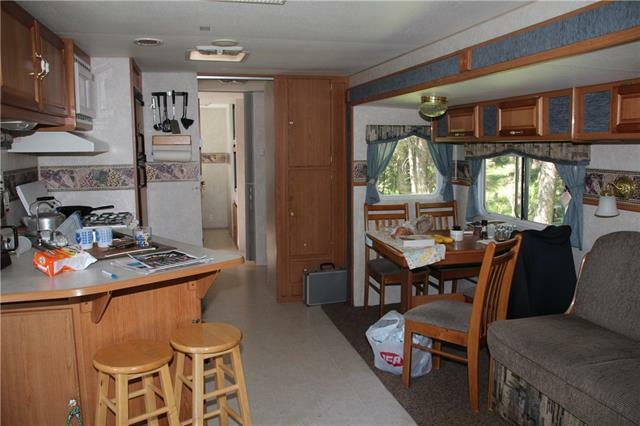 Large glass doors lead to the southwest facing deck that can be partially covered by the trailer awning. There is a shed and a fire pit for further outdoor leisure. Riverside is a gated recreational community on the banks of the Red Deer River in the town of Sundre, with all its close-by amenities and shopping. 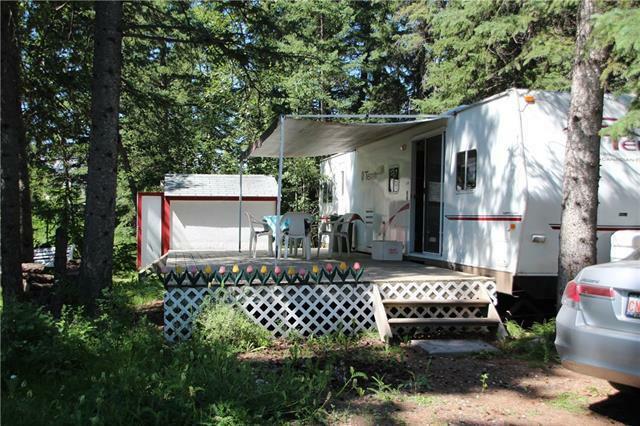 It has seasonal town water and sewer, with year-round access and washroom facilities. Come see your weekend family getaway today.